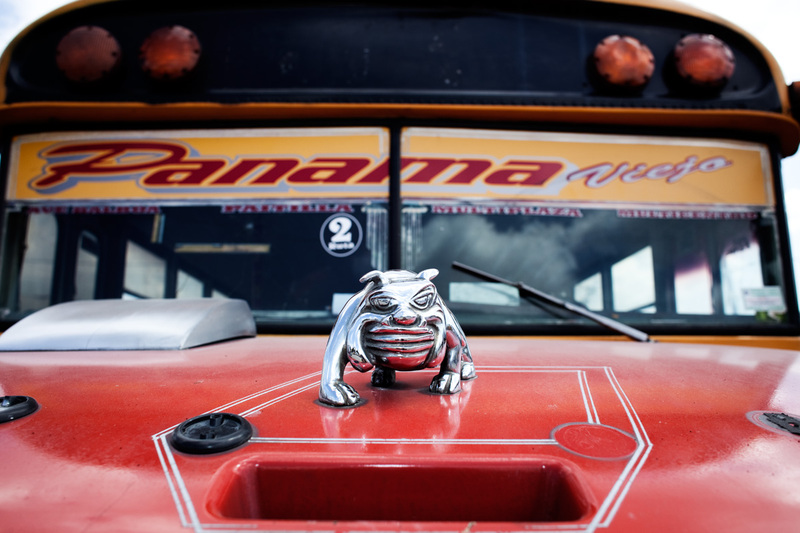 The fleet of diablos rojos—red devils in English—are a Panamanian hallmark. 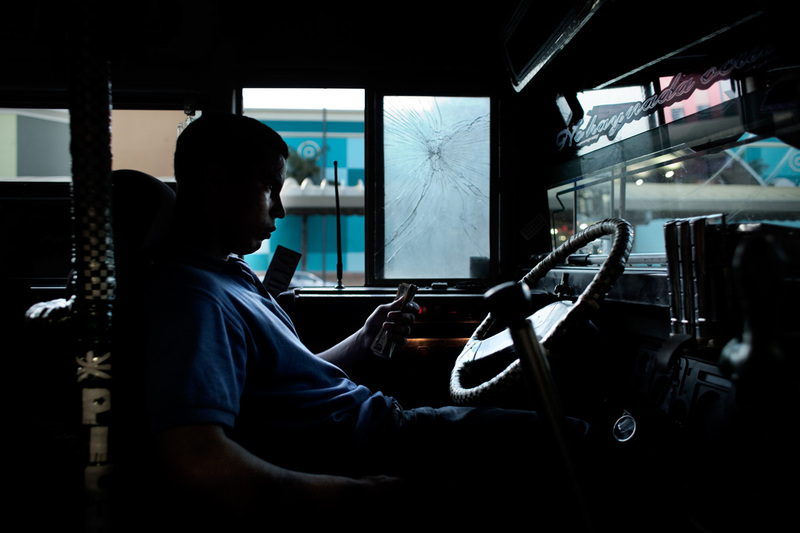 They’re buses from the United States that are purchased, repaired and managed almost exclusively by their own drivers through public and private co-ops, who make their own schedules and routes. 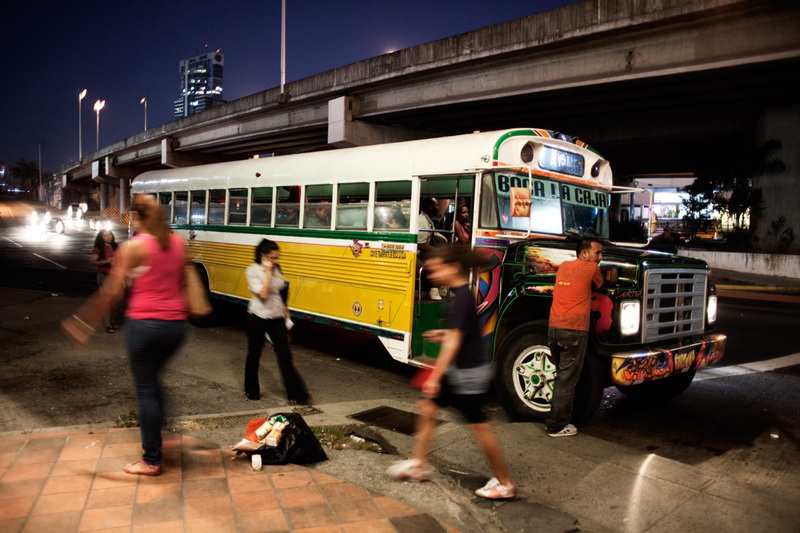 The history of buses in Panama dates to the 1910s, when the canal was being constructed and Americans began importing buses. 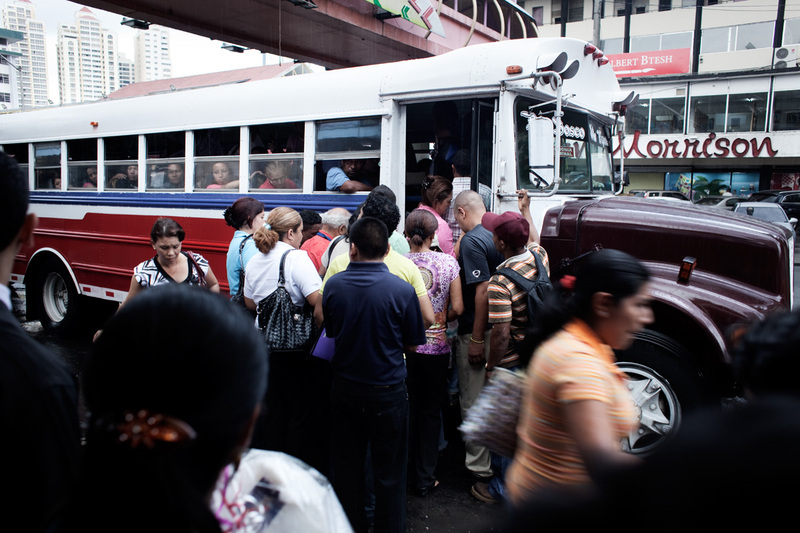 By the ’40s Panama’s tram was already obsolete, and buses became the country’s main form of transport. 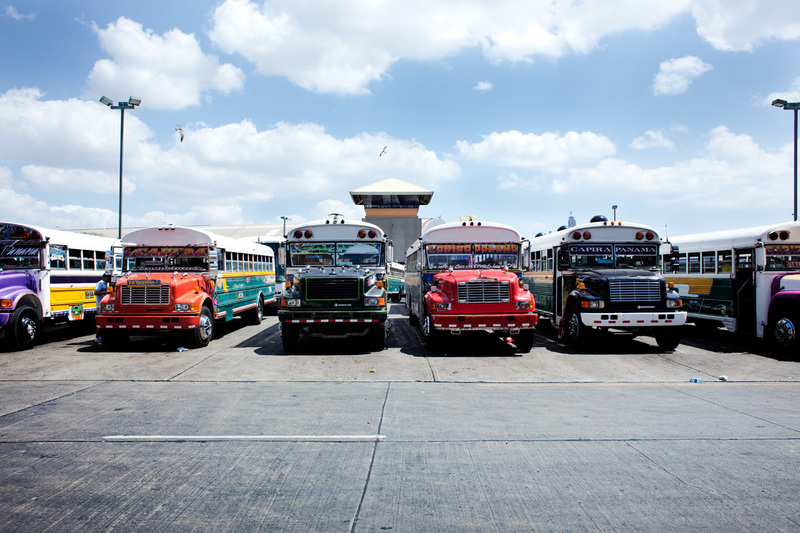 In the ’70s, partly thanks to a transit strike, Panama’s de faco military ruler General Omar Torrijos decided to privatize public transit, giving way to the proliferation of diablos rojos. 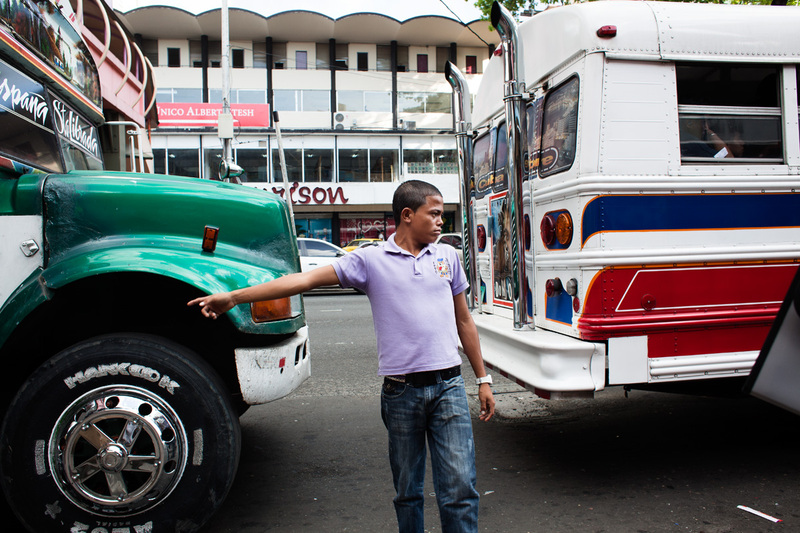 Every different area in Panama has its own co-op or labour union. 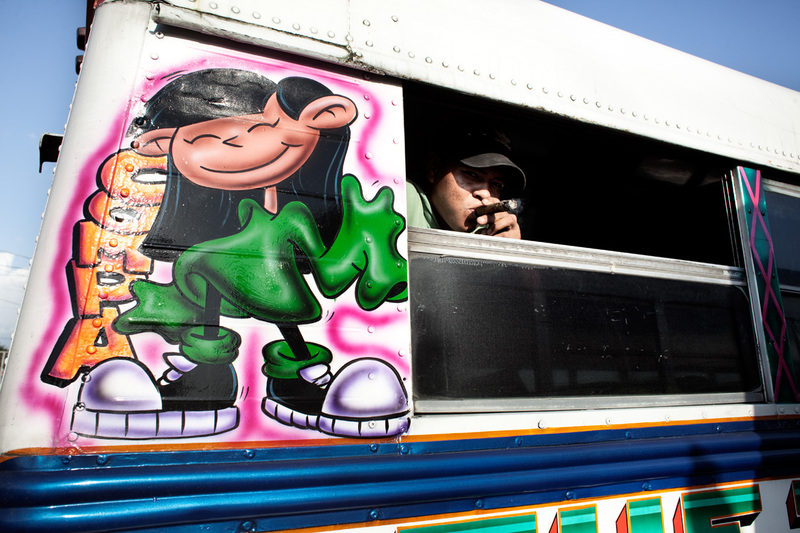 Buses are decorated in a certain way, so that their origins and routes are recognizable. 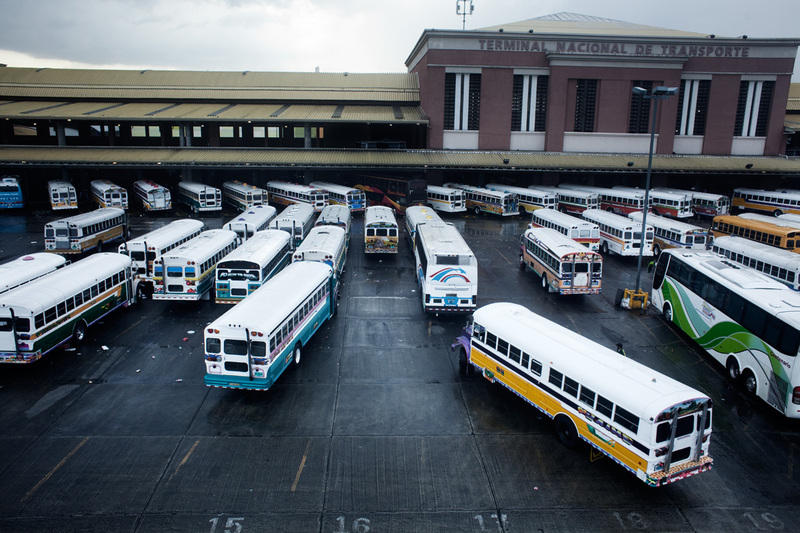 They meet in piqueras, garages where the buses are stored, repaired, decorated and modified. 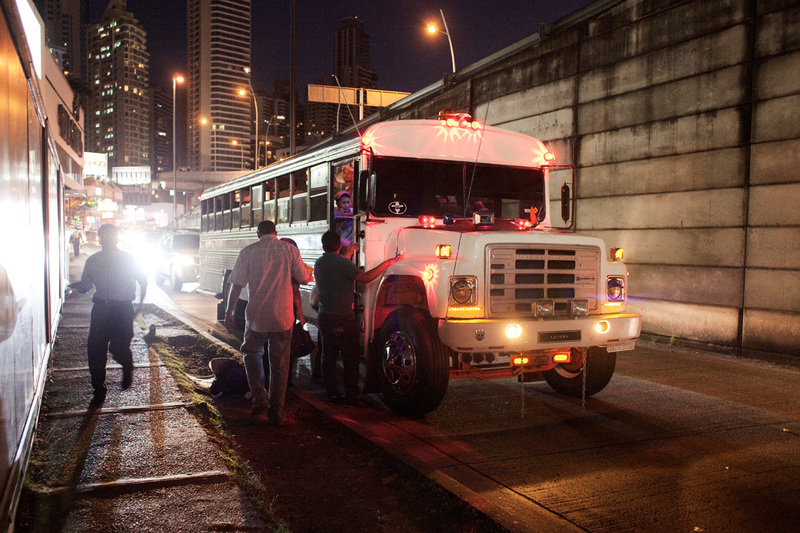 At the end of 2010, the Panamanian government announced their investment in a fleet of public buses and a metro network that would replace the red devils at the end of 2011, alleging that they were obsolete and, in most cases, dangerous on the streets. 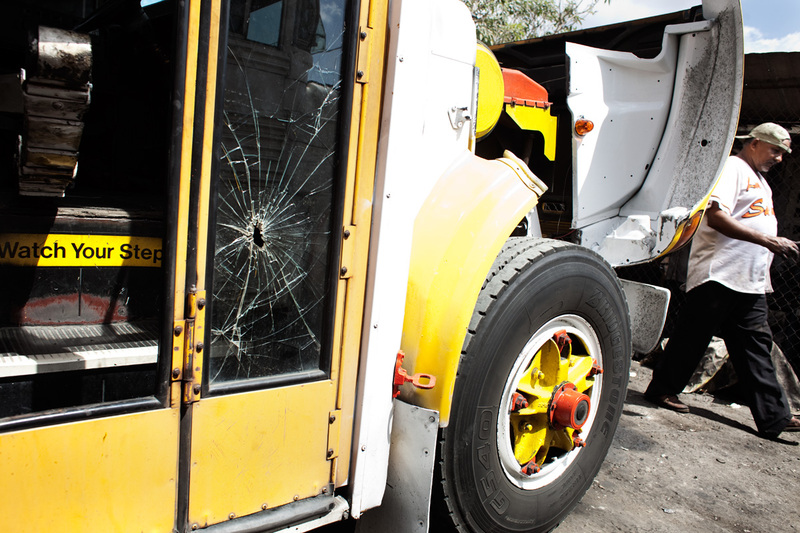 In addition, the red devils’ drivers would have to fill several new requirements to keep working, including a ban of on-board music and needing a driver’s license—something that, because the system was unregulated, was not checked before. But these policies were eventually shut down, and the diablos rojos returned to the streets. My photos aim to capture a way of life, an idiosyncrasy that shows us the colour and sound of the city and people that orbit it. Born and raised in Valencia, Spain, Iván focuses his photography on the small things, the intimate and minimalist stories. 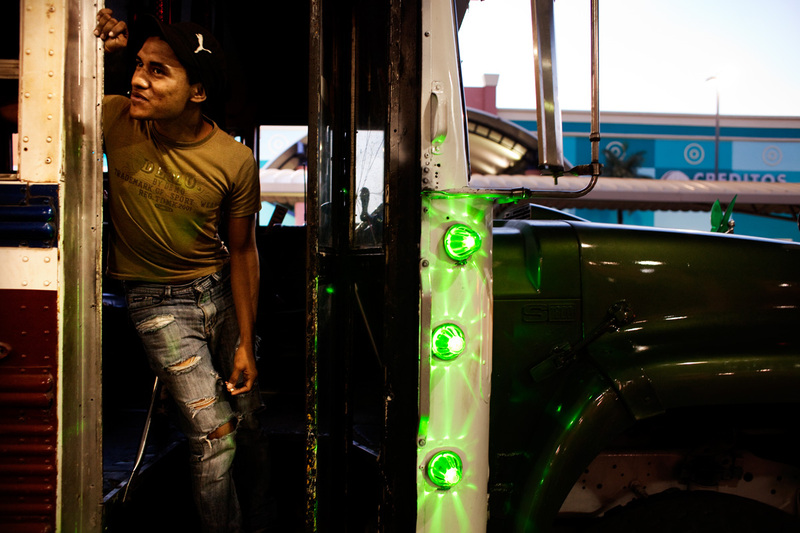 He is member of the documentary photography collective 19.